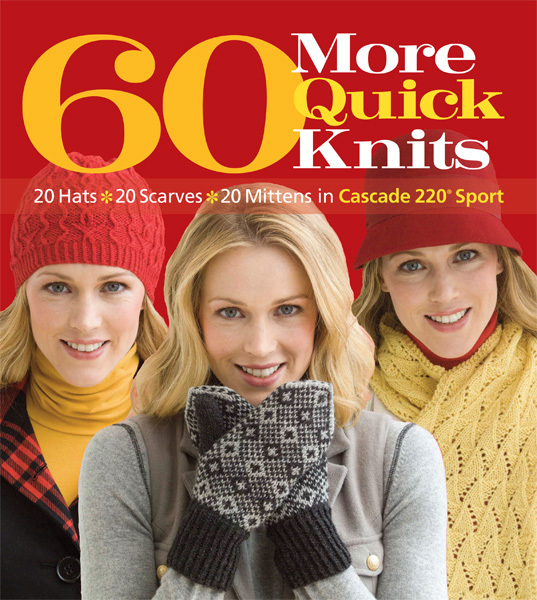 Following the success of 60 Quick Knits and 60 Quick Baby Knits, 60 More Quick Knits offers a plethora of patterns using the versatile, beautiful, and economical Cascade 220 yarn. Knitters are treated to hats, mittens, and gloves featuring Cascade's brand-new "Sportweight" yarn, a lighter variety with a crisp finish and great stitch definition. Projects include a snowflake scarf, a checkerboard muffler, Fair Isle Beret, Herringbone Mitts, and a Zigzag Lace Stole.